Claire Courteille-Mulder is the director of the International Labour Organisation (ILO) Office in Brussels. Olivier De Schutter is professor at the University of Louvain (UCL) and a member of the UN Committee on Economic, Social and Cultural Rights. The authors write in their personal capacities. March 25 will mark the 60th anniversary of the signature of the Treaty of Rome which launched the process of European integration. This provides a unique opportunity to reflect on the future of Europe, and to deepen a debate which all too often has been boiled down to whether more or less Europe is needed. The opportunity arises, however, at a time where the EU has been put to the test on several fronts, from the need to rescue the eurozone from the fears created by Greece’s finances, to the tensions resulting from the management of migration flows, rising Euroscepticism and the Brexit vote. Today, the multidimensional crisis faced by the EU is different from previous ones. It is existential: it touches upon the very notion of integration. What type of integration are we talking about? What level of solidarity is to be achieved? What type of socio-economic model is to be promoted? (Re)defining a vision for Europe is indeed necessary, not only to overcome current difficulties but also to provide a compass for navigating the increasingly choppy waters of globalisation. This crucial debate will take place against the backdrop of the 2008 crisis, the social consequences of which are still being felt. While unemployment is slowly declining in the EU, almost a quarter of the population is still at risk of poverty, including 9% of those with a job and 27% of all children. Many feel left unprotected in a world totally beyond them. Additionally, the crisis has exacerbated the disparities in the employment and social performance of the member states. A striking example is the evolution of the ratio of the highest to lowest unemployment rates between the countries. In 2007, it was 1 to 3. Today it is 1 to 5. This divergence is at odds with the declared ambition of the European project, and it makes the search for convergence an absolute priority, to sustain the political support to the EU, but also to ensure a well-functioning monetary union. The reasons explaining why member states drift away from each other are various and complex. A key factor, however, lies in a frail EU social governance, the weakness of which stands in sharp contrast with the binding fiscal framework applicable to the members of the eurozone. Though their international commitments are broadly similar under ILO Conventions or the Council of Europe’s Social Charter, the enforcement of social rights is uneven across the EU. Rather than making up for this imbalance and cementing the economic and monetary union by strengthening the protection of social rights across the EU, current approaches to socio-economic governance have not addressed this dimension. In fact, independent experts and quasi-judicial bodies established within the United Nations, the ILO or the Council of Europe have repeatedly warned about the impact of EU economic policy on member state ability to comply with their obligations arising from international treaties. Without an enforceable floor of social rights, upward social convergence is not likely to happen. Still, two recent developments might improve the current situation. 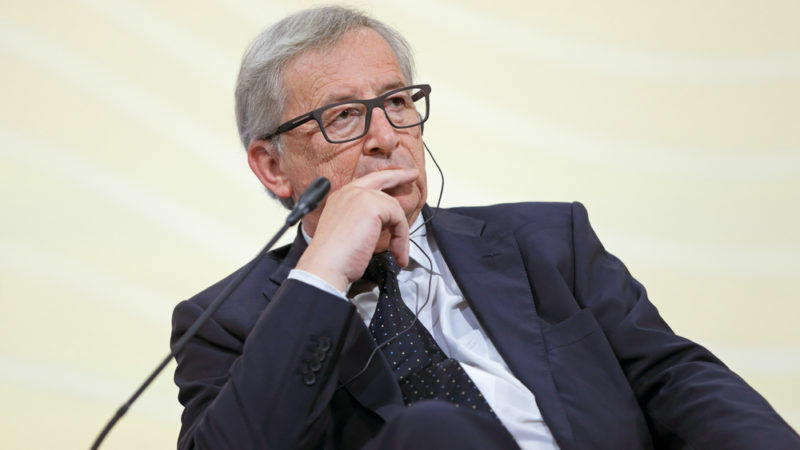 The first is President Juncker’s recent proposal for a European Pillar of Social Rights whose objective is to approximate for the better the performance of national employment and social policy. Though its precise contours are still to be defined, this initiative could address some of the current imbalances. Secondly, in the context of Cyprus, the European Court of Justice recently adopted a ruling that the European Commission and the European Central Bank have a duty to ensure that fundamental rights, as recognised in the EU Charter, are fully complied with in the design and implementation of the Memoranda of Understanding concluded with states seeking support from the European Stability Mechanism. It is a noteworthy decision since the ESM is formally an international organisation with a legal personality separate from that of the EU. Thus, bailout programmes henceforth shall have to take account of social rights. This ruling is aligned with the Statement adopted on 24 June 2016 by the UN Committee on Economic, Social and Cultural Rights recalling the human rights obligations of international organisations, lending and borrowing states alike when involved in financial stability programmes. How to better integrate social rights into the economic architecture of the EU? In the short-term, concrete actions could be envisaged to foster a higher coherence of national social, economic and fiscal objectives, ensuring that one set of obligations does not undermine the other. To this end, impact assessments could be a useful tool as they allow an ex ante evaluation of the compatibility of economic and fiscal measures with fundamental social rights as recognised in the EU legal order and in international human rights law. In the longer term, discussions on how to bring the EU under the jurisdiction of international and regional human rights bodies might have to be resumed, not least to enable member states to comply with the obligations arising from their ratification of international or regional treaties. In a globalised world, social rights offer a chance to build a fairer world. What false statement . In globalised world difference in social rights caused decline of EU and powerty of its citizens.